A single-lane 355 meter tunnel is near the top of the Galibier, though there is a paved road that goes over the summit. The tunnel was closed in 1976 and after extensive repairs was reopened in 2002. From Saint-Michel-de-Maurienne the road goes over the Galibier's little brother, the Col du Télégraphe followed by a short descent and through the town of Valloire before the ascent of the Galibier proper. The climb from the south is shorter and involves less climbing since it starts at the Col du Lautaret at 2,058 meters elevation. 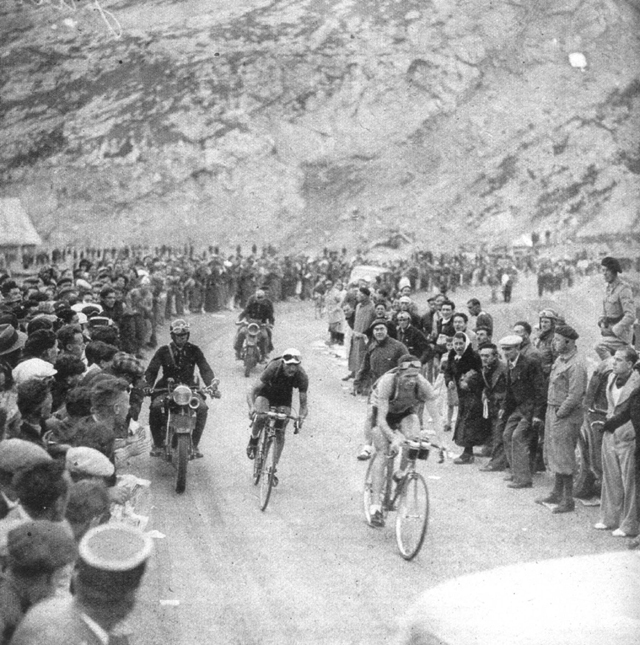 After succesfully including the big Pyrenean climbs in the 1910 Tour de France, high Alpine passes were added in 1911. 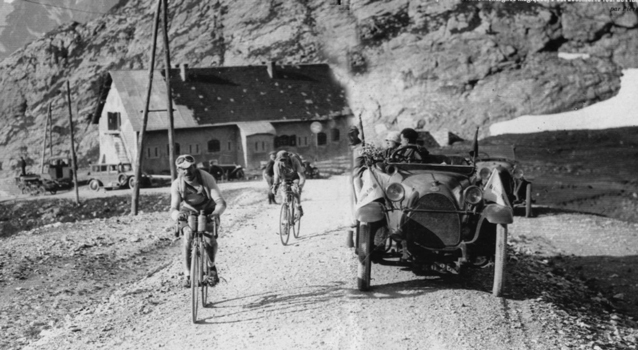 The 266 kilometers of stage five of the 1911 Tour went over the the Aravis, Télégraphe, Galibier and Lautaret. Emile Georget won the stage without resorting to walking his bike up the Galibier (this was long before derailleurs were allowed in the Tour). The Galibier pass was steeper in the early 20th century with the north side having patches of 14% gradient. Both approaches have been re-graded. Since then the Galibier has been used in the Tour de France about 60 times. A the south entence to the tunnel, there is a memorial to the father of the Tour de France, Henri Desgrange. The Tour's highest point is labeled the Souvenir Henri Desgrange and the Galibier is often a Tour's highest elevation. In 2011 the Tour climbed the Galibier twice to celebrate the mountain's 100th anniversary of that first ascent in 1911. 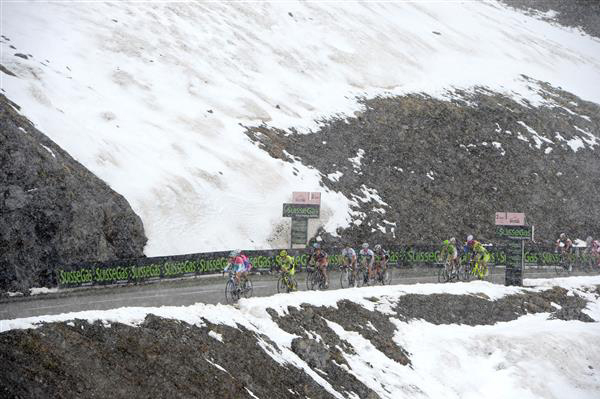 The 2013 Giro d'Italia went over both the Télégraphe and Galibier in stage 15. My memories of this legendary climb are from 1991, during our time working with arguably the originator of challenging European bicycle tours. While I've driven up and down this climb plenty of times, this is the only time I can remember riding up on a bicycle. It's tough to describe Col du Galibier without including Col du Telegraphe, which you must get over to reach Valloire, the true start of the Galibier climb. In itself it's not too hard, especially as the 8% grades come at the beginning and it eases off a bit the rest of the way, but suffice to say you're well and truly warmed up by the time you crest the almost 1600 meter Telegraphe, even though you'll cool down a bit on the descent into Valloire. It's a long and mostly straight 10 km slog up the valley from this point past Bonnenuit, but eventually you can see across the valley and set your sights on the switchbacks. I remember being very tired at this point with a mix of trepidation about whether I could make it combined with the thrill of finally seeing the "real" climb before my eyes. The final 8 kilometers dish out the pain to your now very tired legs with average grades of 8% all the way to the ghostly tunnel entrance, where you kind of wish you could go through rather than continue climbing to the 2642 meter summit. Overall, as in most French climbs, the length rather than the grade make this one of the giant climbs of cycling while of course the TdF history adds quite a bit as well, especially the monument to Le Tour's Henri Desgrange which you'll find on the descent to the Col du Lauteret. I've climbed from this side too and the views are stunning, but perhaps the best part is the descent down to the Maurienne valley! Marcel Buysse is first over the Galibier in stage 11 of the 1913 Tour de France. 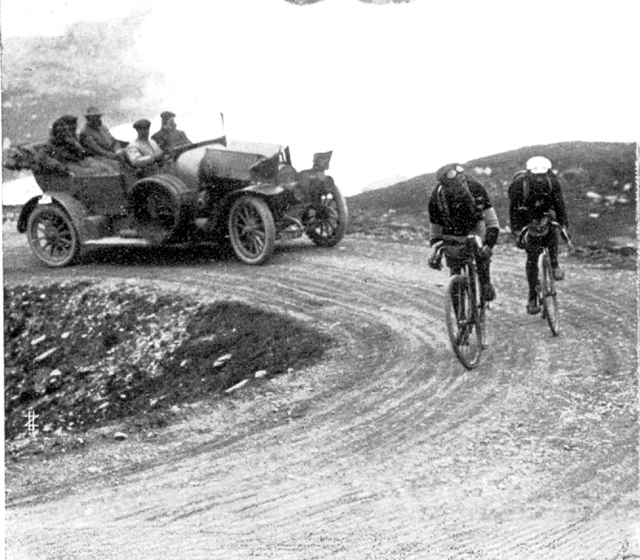 Still stage 11 of the 1913 Tour, on hte Galibier: Chasing Buysse are François Faber and Gustave Garrigou. 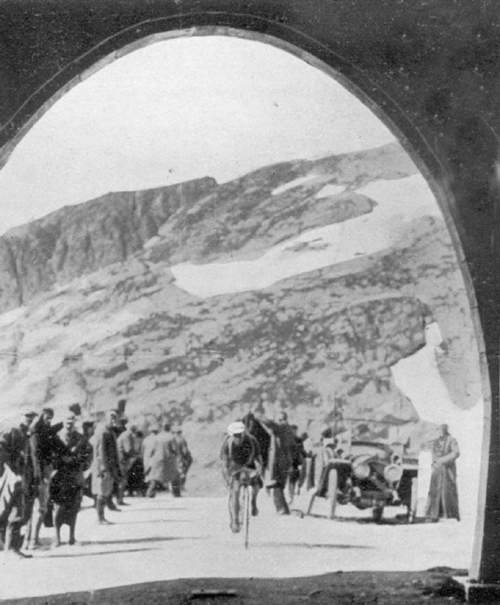 1914 Tour de france, stage 11: Eventual winner Philippe Thys enters the tunnel at the top of the Galibier. Stage 11 of the 1920 Tour de France. I think this is Léon Scieur and Firmin Lambot leading on the Galibier, but I cannot be sure. 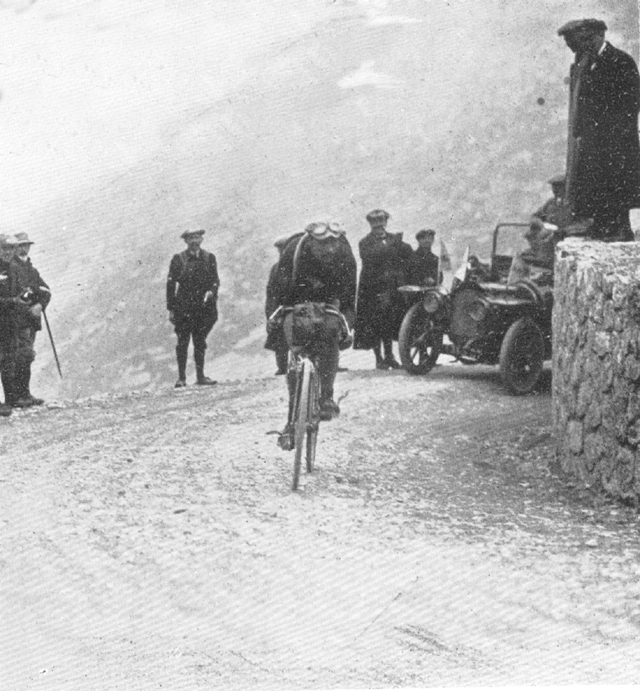 Léon Scieur pushes his bike up the Galibier in 1921. 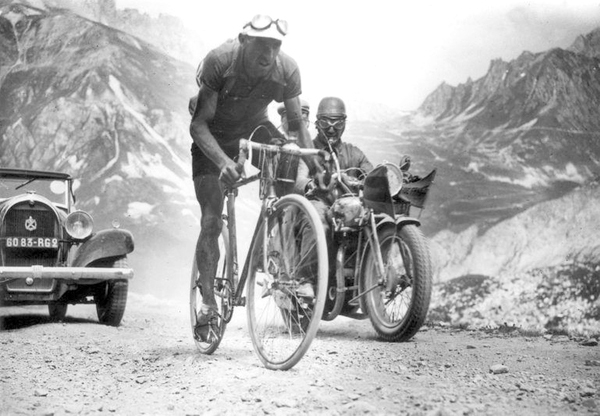 Mario Vicini leads Gino Bartali up the Galibier in 1938. 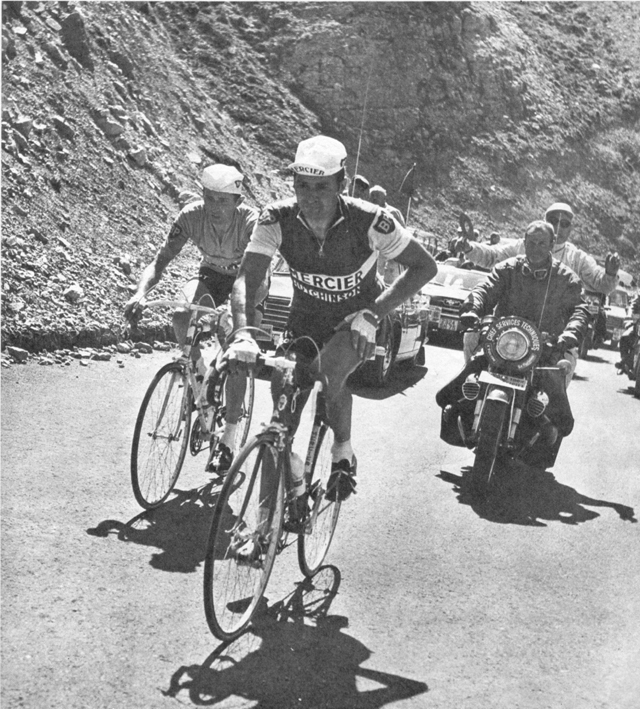 1967 Tour de France, stage 10: Raymond Poulidor guides Roger Pingeon up the Galibier. 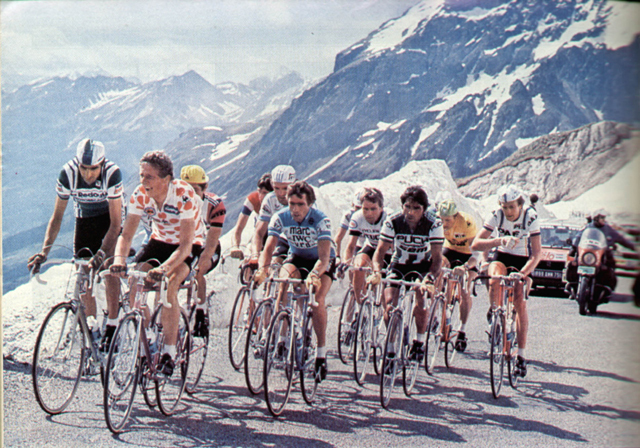 The lead group on the Galibier in stage 17 of the 1980 Tour de France. Yellow Jersey Joop Zoetemelk in in the back of the group. 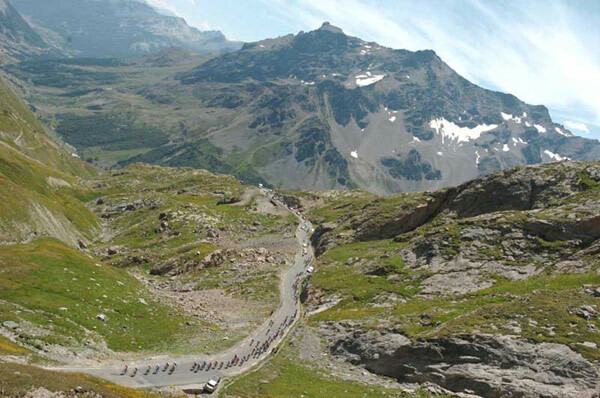 The bunch rides the Galibier in stage 16 of the 2006 Tour. 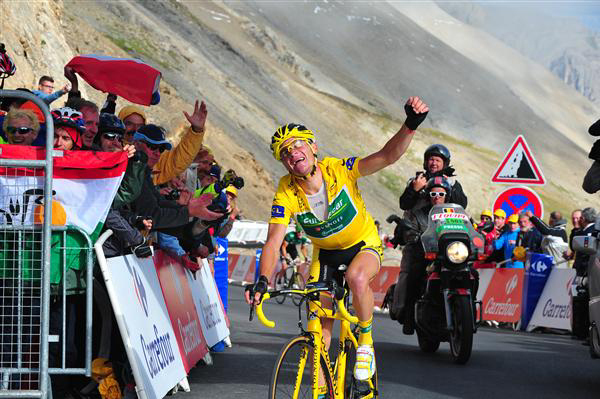 And Thomas Voeckler was able to keep his yellow jersey for a bit longer after his ascent of the Galibier in 2011. Vincenzo Nibali leads on the Galibier in stage 15 of the 2013 Giro d'Italia. 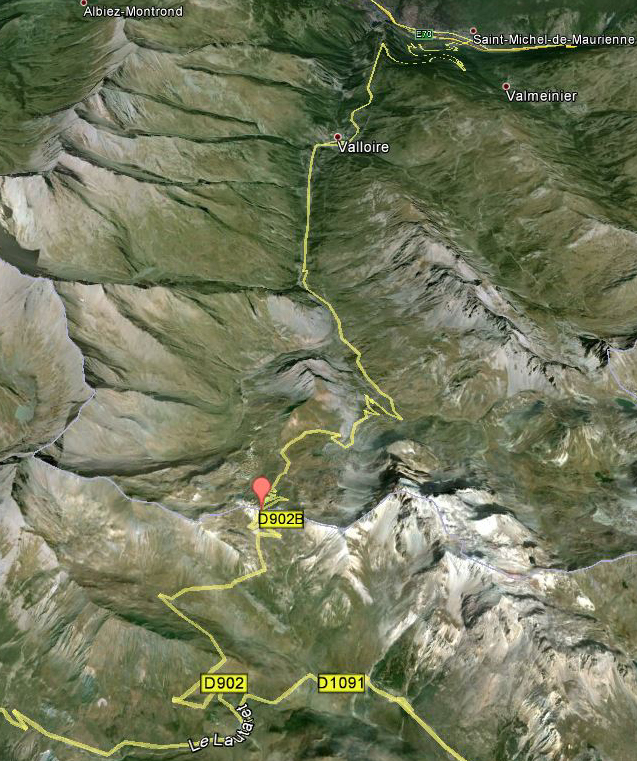 The Télégraphe is north of Valloire and the Galibier ascent proceeds south from there.